Microcrystalline Cellulose, Starch, Dextrose, Magnesium stearate, Stearic acid, silica, FD&C Red #40. Have you been pushing yourself hard in the gym, but still have an extra layer of softness covering up your muscles? It might not be body fat after all, you might have a stubborn layer of water that’s been hiding away everything you want to show off. Well not anymore! 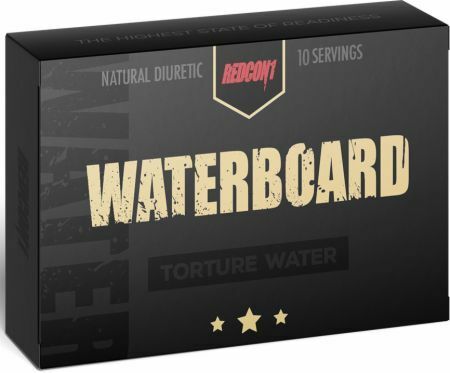 Waterboard is an all-natural water loss formula that will eliminate the top layer of subcutaneous water retention that has been blurring away your coveted definition. Get the cuts, striations, and muscle tone that will finally give you the results you are happy with when the clothes come off. 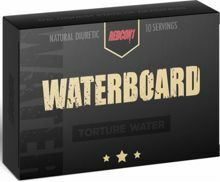 Waterboard is ideal for petitions, photoshoots, weddings, or any big event where looking and feeling your best is an absolute top priority. 30 Tablets This is a Buy 1 Get 1 FREE offer!